You could use a lot of words to describe the Disco Era, but “subtle” isn’t one of them. Everything about disco was revved up and over the top, from the big hairdos to the multi-colored clothing to the thumping beats blasting across the dance floor. Any cultural movement with room for platform shoes, mirror balls, and shaking booties is not a movement that lends itself to keeping things low-key. When the disco whistle starts calling, it’s your duty to get out there and make a statement. Do whatever it takes to make an impression, as long as it doesn’t mean leaving the dance floor. 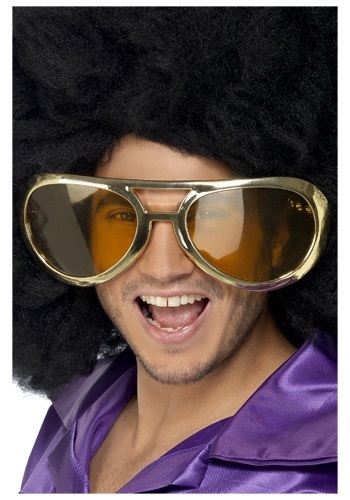 When you’re trying to cure a case of disco fever, bigger is almost always better, and you don’t get much bigger than this pair of retro shades. 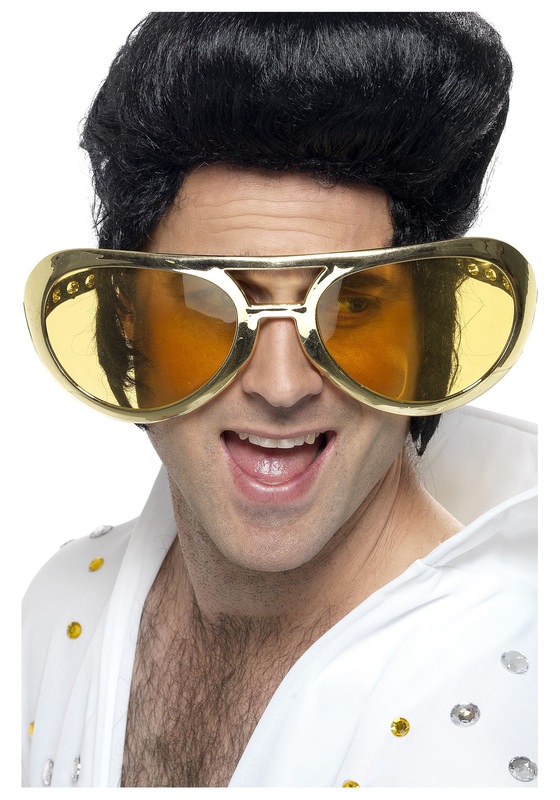 These gigantic sunglasses cover your entire face and then some, practically filling up the dance floor with their shiny gold frame and yellow tinted lenses. Whether or not you have the swiftest steps or the smoothest lines at the party, you can be assured of one thing: you’ll have the biggest glasses. When you’re dealing in disco, that counts for quite a bit.